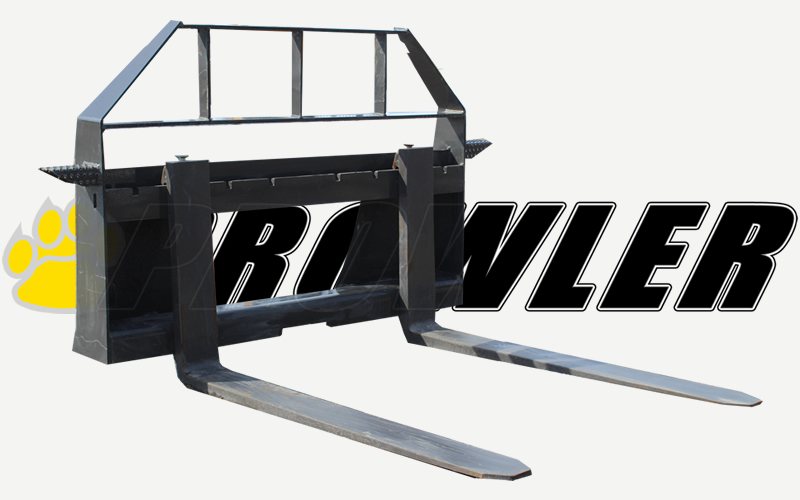 Owning a nice set of reliable Skid Steer Pallets Forks is a must. 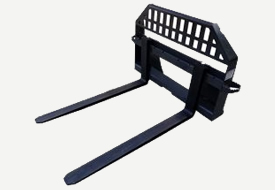 Forks are ideal for lifting pallets, heavy bags of material, or just about anything else you could think of. 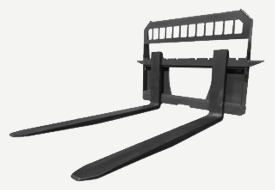 Our light duty pallet forks are 1.25 inches thick, 4 inches wide, and 42 inches in length. 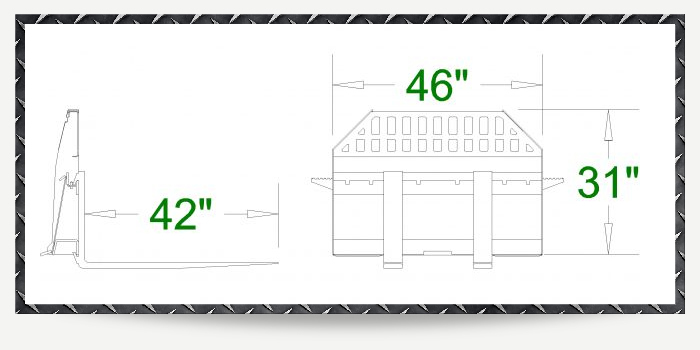 They are completely heat treated and rated to carry up to 3000 lbs. 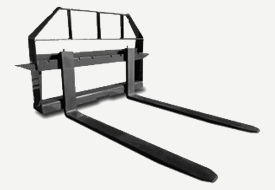 Steps are conveniently located on each side of the frame so that the operator can easily climb inside the cab. 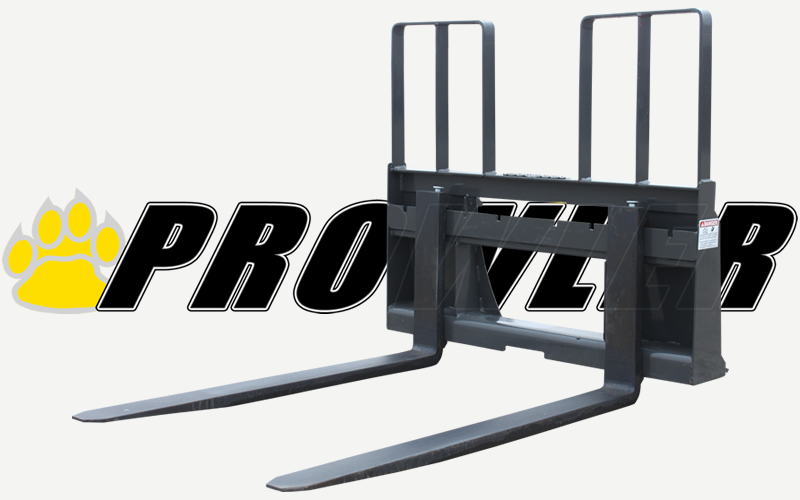 If you need added strength from your Pallet Fork frame, this is what you need. The re-enforced frame is more rigid, a will help prevent loads from falling page into the machine when titled backwards. Depending on your load, you can easily adjust the spacing of your forks when necessary. Rated to carry 4,000 lbs. Instead of having to climb around or over the fork back frame, simply walk through them. 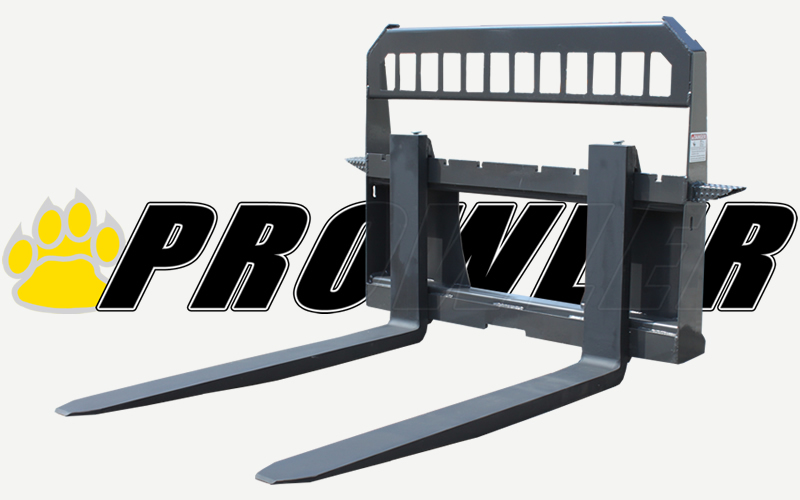 This added convenience will make jobs go faster and easier whether you are lifting pallets, loading lumber or just about anything else. 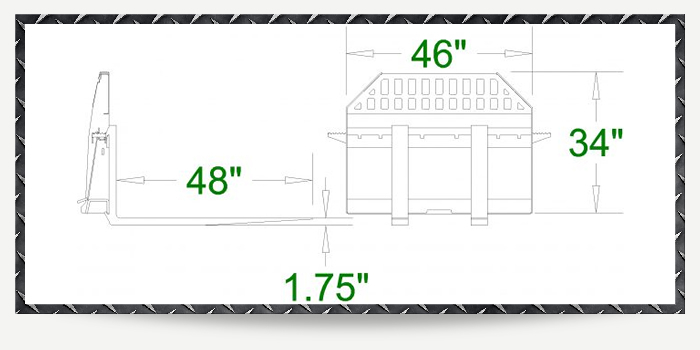 Our frames will have a 9.5″ opening in the frame to walk through easily. 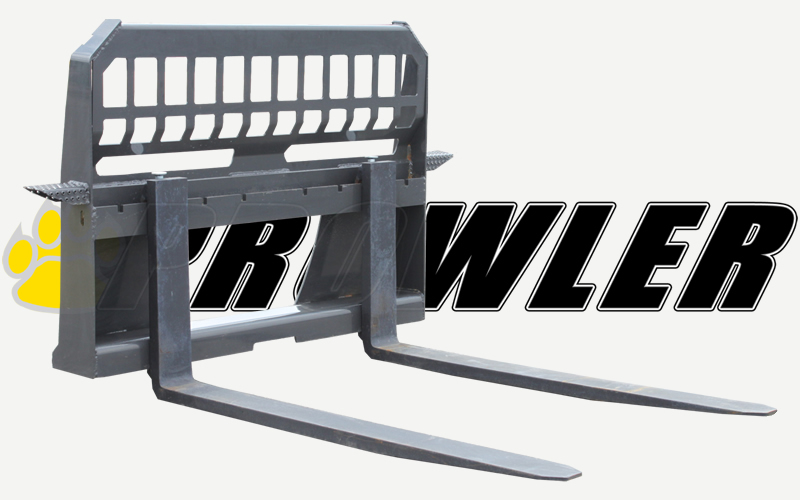 The Prowler Extreme Duty Pallet Forks are 1.74 inches thick, 5 inches wide, and has 48 inch long forks. 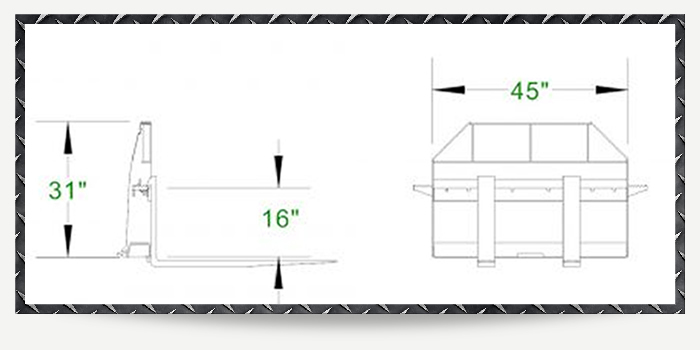 They are heat treated for increase durability and rated to carry up to 6,500 lbs. We put a side steps on both sides of the frame so the operator can easily climb into the cab. Rated to carry 8,000 lbs.